I have made some changes to Hasher, ideally I’d like to think for the better. Hasher was originally a single, large, python script that was used to hash plaintext strings, and compare a hash value to a plaintext string. 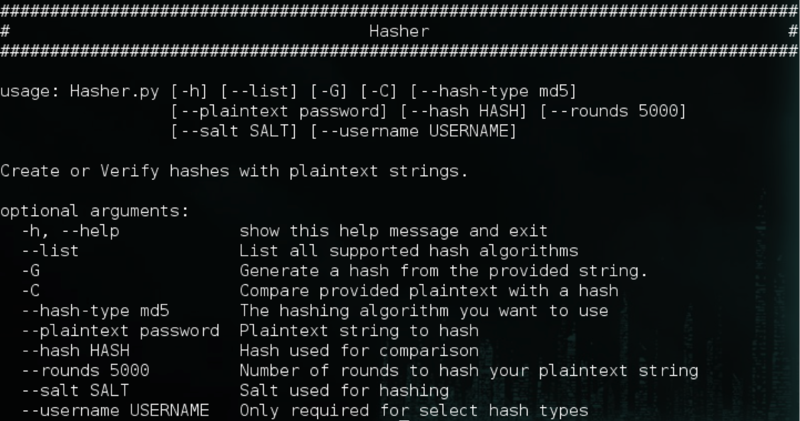 Hasher still performs the same actions, generates hashes or compares them with a plaintext string, but Hasher now has been converted into a framework which will allow myself, or anyone else, to easily add in support for different hashes. Usage is still essentially the same, however there is no longer an interactive menu. 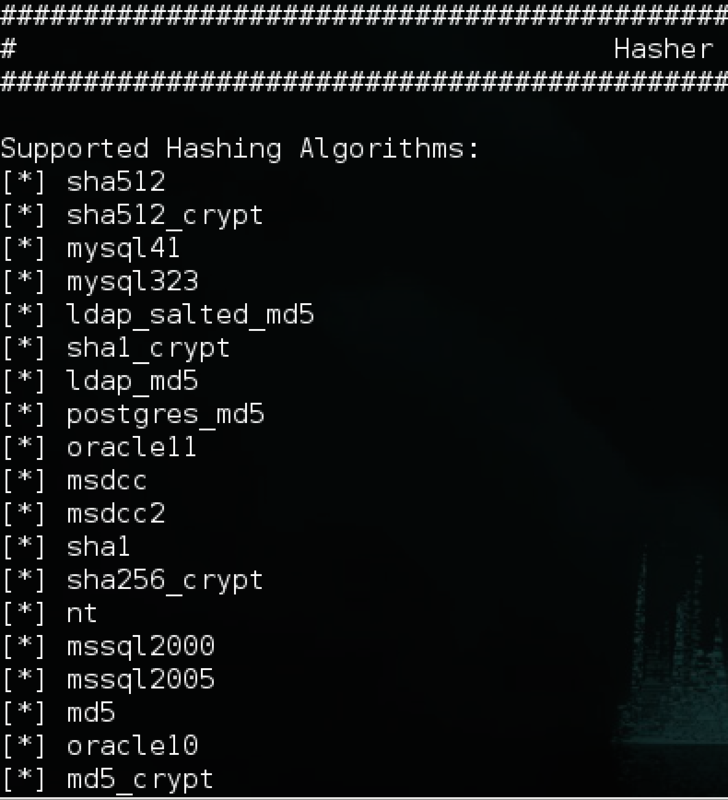 Hasher is now completely command line based. __init__ – This method needs to contained a self.hash_type attribute. 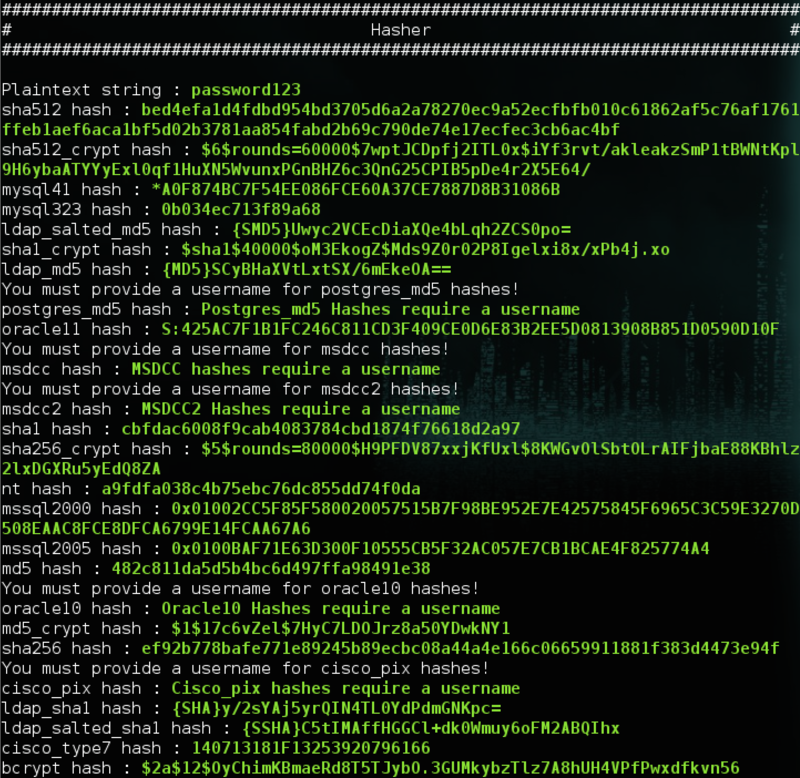 This is what is used by the user from the command line to select a specific hash. Any other information within the __init__ method is optional. 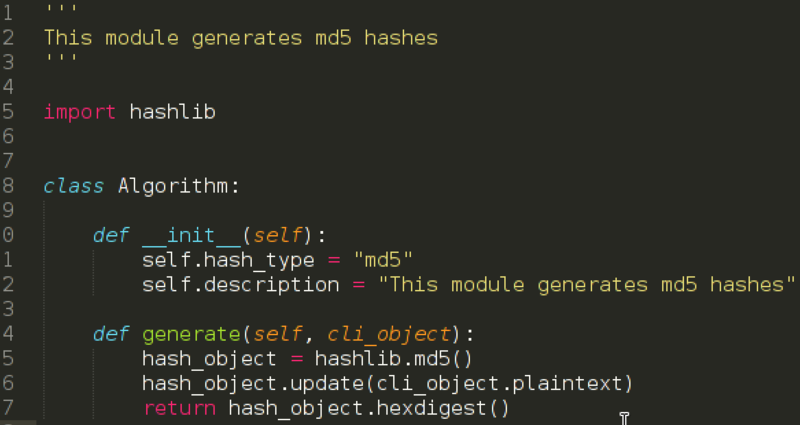 generate – The generate method is called by Hasher to generate a hash. 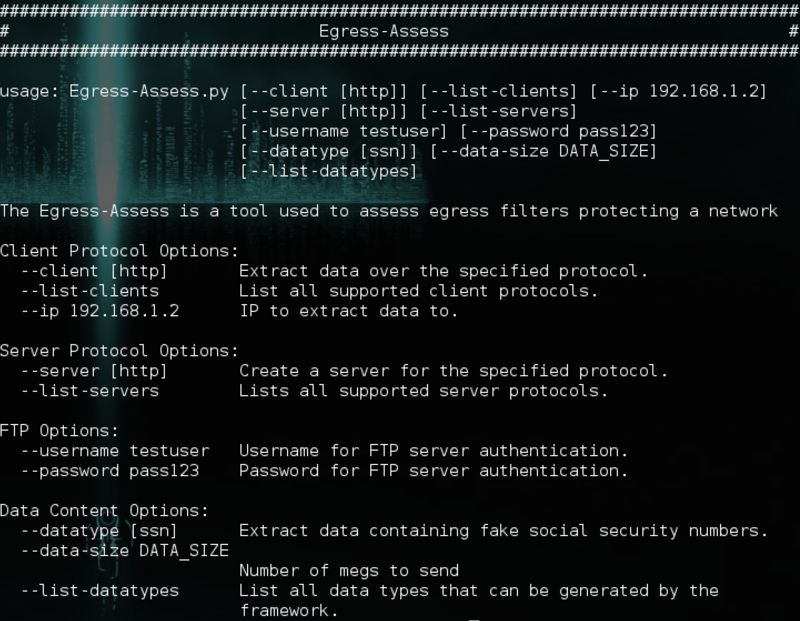 This method has complete access to all options passed in from the command line by the user. It must return the hash of the plaintext string. Hopefully, this helps explain the minor usability changes to Hasher, and elaborates on how it’s now easier to add support for new hashes. If anyone has any questions, feel free to reach out to me on twitter (@ChrisTruncer) or in #Veil on Freenode! Encrypting and decrypting shellcode is the easy part, this is something that is already done in Veil’s AES, DES, and ARC4 encrypting payloads. But I needed to create a script that attempts to decrypt our ciphertext, thousands of times until it finds the decryption key. I incorrectly assumed that when using the incorrect decryption key, and exception would be thrown, but that isn’t the case. The decryption routine is still run on our ciphertext, and garbage data is returned as out “cleartext” data. Since I can’t trigger an event based on an exception of the wrong decryption key being used, I needed a different method to determine when the real key has been found. My implementation is to encrypt a known string with the same key used to encrypt the shellcode. Each round of the decryption routine will decrypt the ciphertext containing our known cleartext string. The decrypted value is then compared to the known plaintext string. If they don’t match, then the code assumes the wrong decryption key was used, and changes to another key. If the decrypted string matches our known string, the code then assumes that the real key has been found. The picture above is the obfuscated source code to the brute-forcing payload. Line 5 contains our partial decryption key, but not all of it. They key was artificially constrained to ensure the final few ascii characters used as the decryption key are numerical. The numbers chosen are within a known range, so while we don’t know the exact number used, we can simply try all numbers within the known keyspace until the correct decryption key is identified. Line 8 creates a for loop which will loop through all numbers within the known keyspace, and line 9 creates a decryption key by concatenating our partial key plus the “current number” of our for loop. Line 11 is our attempt to decrypt our known string, and line 12 is checking the decrypted value against our known string. If it’s a match, we can assume that this is our decryption key. Once the key has been found, the script then drops into the if statement, and acts like any of Veil’s other encrypted payloads; system memory is allocated for use, the shellcode is decrypted, placed into memory, and then the decrypted shellcode is executed in memory. The timeframe it takes it receive the callback from this payload obviously varies based on the “random” number that was generated and used in the decryption key. This payload will be released shortly as one of Veil’s upcoming V-Days.